It was with mixed emotion that I accepted the invitation. I was super excited to be spending three days with a group of food lovers, learning new charcuterie skills. But I was dreading the fact that, well, first we were going to kill a pig. A home slaughter. A chicken is one thing, but a pig, sheesh, how would that go? I'm a firm believer of knowing where your food comes from, and taking responsiblity for the food you eat. And I endeavour to make sure that most of what we eat comes direct from the farmer, including any meat. But yeah, I was about to take a giant leap into, the, um business end of being an omnivore, and I was not sure I if I was entirely up to the challenge. We all arrived at my friends' farm early on a gloomy winter's morning. Most brought with them a wealth of family tradition and recipes for butchering a pig, sharing their stories over a fortifying glass of Strega. Meanwhile, that little pig sniffed and poked around in her little pen laid deep with fresh straw, took a little nap and looked perfectly content, oblivious to the fact that her hours were numbered. Once everything was ready, a call was made to the butcher and as soon as he arrived I felt a huge sense of relief. He looked strong, he looked capable and reassuringly, he looked kind. Some people went inside, unable to watch the deed, but I felt that this was something, as meat eater, I had to see, and stayed to watch the slaughter, albeit from a comfortable distance. The pig was still warm when the hard work began, breaking down the carcass and divvying up the recipes. Prosciutto, pancetta, brawn, cotechino, salami, bacon, ham, mortadella and sausages, an impressive amount of food to feed five families. The fat was rendered into lard and the skin turned into chicharron. The blood collected and mixed with chocolate, masala and raisins to make sangiuinaccio. Nothing was wasted. Every part of the animal was treated with the utmost respect and care. At the end of three days we celebrated with a feast. We celebrated our work, we celebrated the abundance of food and we celebrated the pig. Tasting what was ready to eat and admiring what was yet to cure. The whole experience was the most amazing and humbling three days I could ever imagine. An honour in fact. I walked away with a newfound awareness, a feeling of gratitude to the pig, thankful to the friends who invited me to share and to teach. And also admiration for the incredible tradition that a handful of people continue. It's easy to buy a packet of bacon from the supermarket, a few slices of ham from the deli. Too easy. I can now see how that makes us so removed from our food and the animals that provide us with nourishment. Absolves us from any blood on our hands (and believe me, there is blood). After this week I'm not sure I can buy bacon from the shop ever again, or ham, or any pork product. Or in fact any meat. For me, I don't think it's the right thing to do. I'd rather eat less meat and pay more for it, buying directly from a friend or farmer. Or perhaps even think about raising our own. Maybe, some people might find this story uncomfortable, and wonder "how could you?" After this amazing experience, I wonder, how could you not. This sounds like a really wonderful experience Michelle. We have killed our own meat forever and really don't give it a second thought. My husband is an excellent butcher and our children are often involved, in a respectful way of course. It is very easy to get disconnected from where meat actually comes from. Growing up on a farm I'm used to the idea of killing stock for your own meat and that what was once walking around a paddock can find itself on your plate. For me that was normal and I guess I forget that very few people actually live that way now. I think it's a bit sad that it isn't the way most people experience meat products. I remember seeing footage of Jamie Oliver being involved in the slaughter of maybe a pig? It was in Italy (?) and the family who owned the animal had the kids watching as well. He was saying how sad it was that people might find that offensive and wasn't it more offensive that kids believed that meat came from supermarkets in vacuum-locked plastic trays. I tend to agree with him. I can relate to the feeling of gratitude towards the animal you speak of. I think if you see it with your own eyes it makes such a difference into the way you think of your food. Well done, I think it's brilliant. Wow, what a grounding experience that must have been. I must admit, the first time I saw a whole pig hanging on a hook, I had to take a step back, even though I knew full well where meat comes from. But then, it IS because I had seen something like that, I now appreciate and have profound respect for animals that I eat, and it becomes a celebration of the animal. The picture of the blood is stunningly beautiful in so many ways. I wonder how many of us would still eat meat if we had to raise, kill and perepare the cuts ourselves. And yes it is so easy to buy meat in packets, so detatched from its source. 150 Billion Animals Slaughtered every year for food must in some karmic way thank you for your courage and gratitude you show towards owning your responsibility for what you eat. I am glad there are people like you in this world. People like you who actively make a difference, make a change, make a sacrifice, even when it is not convenient to do so. The animals do not have their own voice, it is people like you, and like minded others who give our non-human brethren some worth in a world that treats them as little more than meat machines. Thanks for writing "not just another tassie foody lifestyle changer blog". I have reduced my family's meat consumption for health and ethical reasons. It was a deep and visceral reaction to the abhorent reality of factory 'farming' that first steered me down the path of a plant based diet. It is precisely what you have so beautifully written that gives me hope for the enigmas we kill for food. Thank you so very much for sharing your experience and the authentic ways in which some people are choosing to eat. I echo the sentiment above that I wonder just how many people can eat an animal they witnessed being killed. Not that many, I'd say. Ack! Silly device! I meant ANIMALS, not enigmas! As a vegetarian for almost 20 years I completely agree. Why should you be able to eat something if you can't stomach killing it first? Your story makes me happy to know that omnivores can also share in this understanding and consider their food with respect. 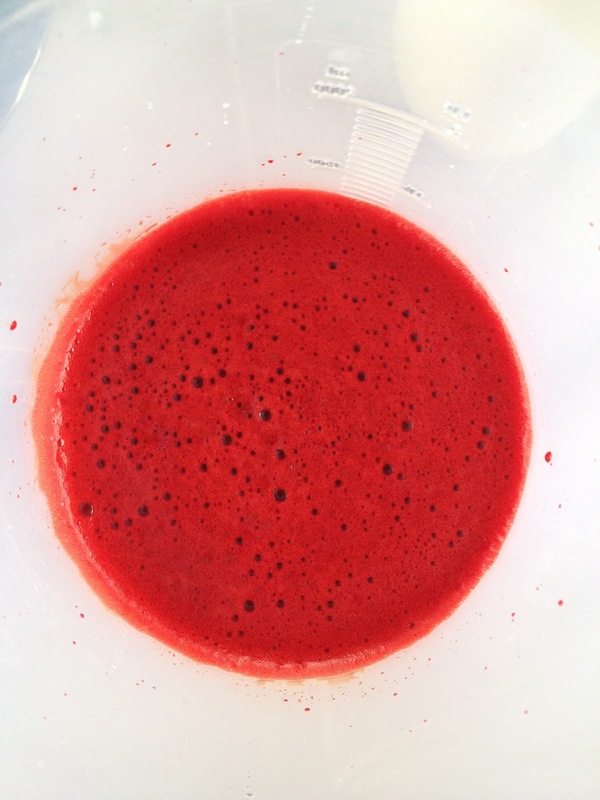 Thanks so much for sharing your story - I'm not game to ask what the red frothy liquid is though...gory? That one animal can go so far. I'd like to be part of that process the next time it happens!!!! Invite me!! We eat meat rarely - and when we do - we more often than not know exactly where it came from. I've been toying with the idea of raising animals for meat recently - but I'm still not certain it is something I am comfortable with. Your workshop experience sounds like a perfect opportunity to get a taste of what it would be like. I have raised my own poultry & lamb for as long as I can remember & I also hunt my own game. I do buy 'meat' from the butcher if needed. I think if you can't do it yourself, don't eat it. At least mine are well fed and cared for & not left in sale yards or trucked for days on end with no food or water, not to mention terrified. It was a comfort to see such a good story in print, thank you. Yep, beautifully written piece Michelle. Strangely I could never go complete vego but MOTH could in a heartbeat. The only thing holding him back is his total inability/laziness to produce a vego meal from scratch. The closest he's ever come is grating the zuchinis for Millie's Famous Zuchini Fritters & he needed to collapse on the sofa for 2 hours with a beer or 3 to recover from the effort! Great post Michelle.It was a pleasure sharing some of my family traditions with you. Looking forward to trying the pancetta you made. I used to be a "supermarket" omnivore - but now myself and my husband as well as all three children are vegan. We could never go back to consuming our fellow earthlings and so, of course, reading your article was a little challenging. Having said this, I do believe that if we choose to consume a living, breathing being then it should be with the utmost respect and awareness - and every part of that precious life should be used and celebrated. wow! an experience worth acquiring! Great post...I really respect people who raise & kill their own meat, sadly as a Sydney-sider I have to buy my meat, but I always buy ethically raised. A emotion of thanks to the pig, thankful to the associates who invite me to share and to teach And also respect for the hard to believe tradition a handful of people carry on term paper online. I really appreciate the fact that as a meat eater, you chose to own it and watch the killing. I feel like so many people are so willing to turn away from whats actually happening and coincidentally fall deaf to the harsh products (chemicals and fillers) that are being put into the meat that they ingest.